The Beara Peninsula (the Ring of Beara) is far less travelled than the Ring of Kerry but, in our opinion, is all the better because of it! On a clear day you should still get the chance to see the Skelligs from Lambs Head and you will see sights that only the more adventurous travellers have the privilege of enjoying! This drive is moderately difficult and the roads are narrow throughout, we certainly don’t suggest trying it until you have had some practice driving on the narrow roads of Ireland. Our first suggested stop is a little off the beaten track. The sea caves just outside Ardgroom (marked on our map), this is one of our favourite spots to go for a walk and to look out into Kenmare Bay through huge fissures in the cliffs. Take care when walking along the footpaths as they can be slippery and if you choose to walk to the top of the cliffs stay well back from the edge. Our next stopping point is the beach at Allihies (if you want to stretch your legs or build a sandcastle). You will also pass the copper mining museum which is a great place to stop if you would like to learn more about the history of this important practice in the area. We have included the narrow and twisty road out to Lambs Head and Dursey Island on our itinerary because we feel it is well worth the effort. However if you would rather take a rain check (and if the weather is poor we would encourage you to do so) then just carry on along the main road (R572) towards Castletownbere/Glengariff. Lambs Head is most westerly point on the Beara Peninsula and, if it is running and you are feeling brave, you can take the small cable car out to Dursey island. It is exciting and unique, the only cable car in Ireland and the only one in Europe to cross open seawater. Once you are done with Dursey Island then it is back along the twists and turns until you get back to the main road. 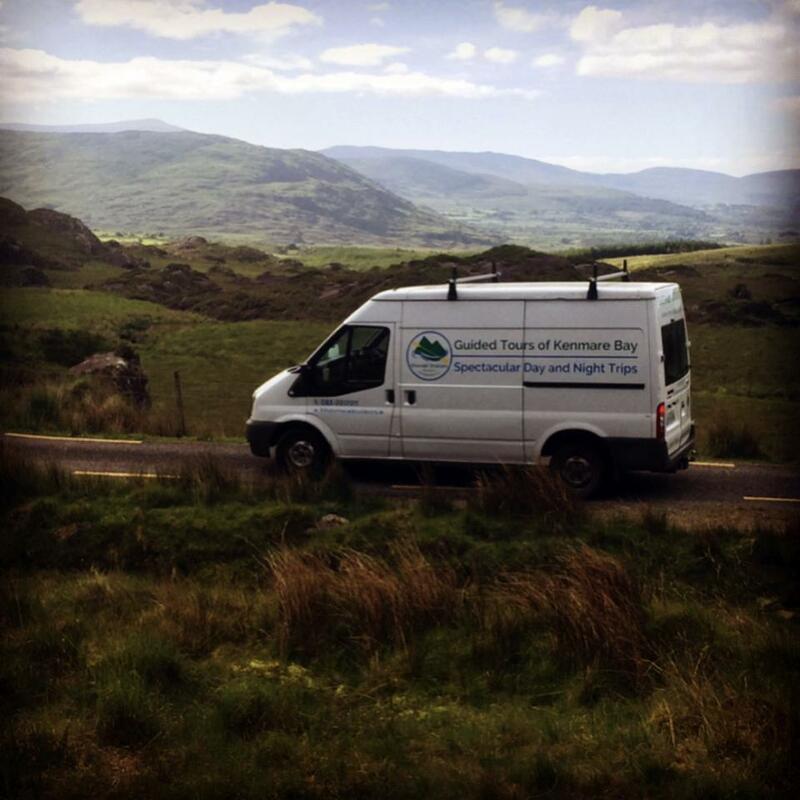 There are plenty of places to stop, rest and eat along the way as you explore the rugged scenery of Beara from the West Cork side. Turning off in Glengarriff you will drive along a beautiful pass that will bring you back into County Kerry and all the way back to Kenmare; don’t forget to turn your lights on as you enter the incredible tunnels through the mountain on your way home. After your day out exploring the Beara Peninsula why not join us after dinner for a completely different outdoor experience and discover the hidden world of bioluminescence on a night kayak trip?